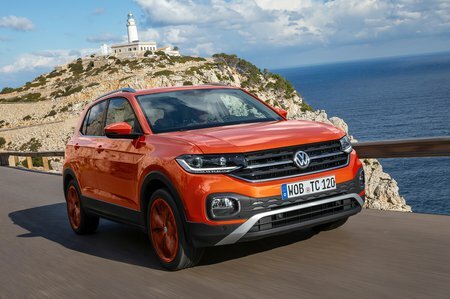 Volkswagen T-Cross SE Review and Deals 2019 | What Car? This adds 17in alloys, adaptive cruise control, automatic wipers, front fog lights, a front centre armrest, height-adjustable boot floor, Apple CarPlay and Android Auto smartphone integration and a leather steering wheel and gear knob. Options worth considering include the Winter Pack, which adds heated front seats and heated washer jets, and keyless entry.